The place was almost full with students, working professionals from the University of Melbourne. 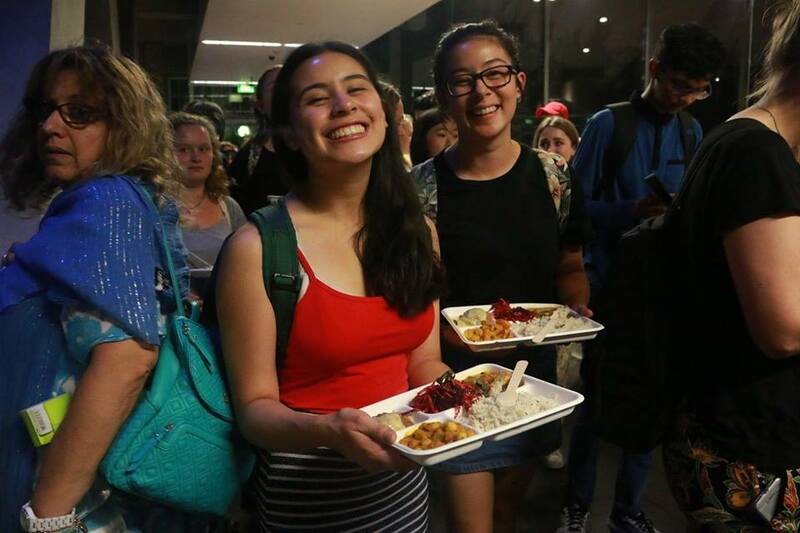 I was taken back, as I opened the main door of Sidney Myer Asia Centre. The atmosphere was abuzz with people talking to each other. Light refreshments of Snacks and drinks were being served on few tables, and there are people everywhere. The Lecture hall is going to be full, I thought to myself. I can already see at least 250 plus in the foyer, waiting for the talk to begin. 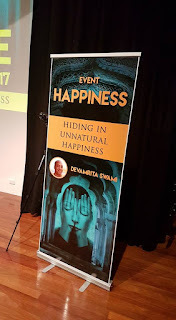 On 2nd of March, I attended this event called ‘Happiness Event ‘and the talk titled as ‘Hiding in Unnatural Happiness’, was organised by UniMelb Bhakti Yoga Club. The speaker of the talk, Devamrita Swami, a Graduate of famous Yale University is an international speaker, author and monk. I was told that he travels all around the world like, USA, UK, New Zealand,Russia,India, delivering speeches to students in from institutions like, Stanford, Yale University, IIM and IIT's in India. I looked around and saw few familiar faces, Students and some of my Colleagues and University staff. How many people does the hall accommodate- I asked one of the event organizers wearing a T-Shirt with the logo of the Bhakti Yoga Club. The seating capacity is 500- was the reply I got. I thought, it must be enough for the crowd that's expected to come. Meanwhile, Devamrita Swami arrived. Walking with one of the event organizers, he looked calm, composed, knowledgeable and contented. 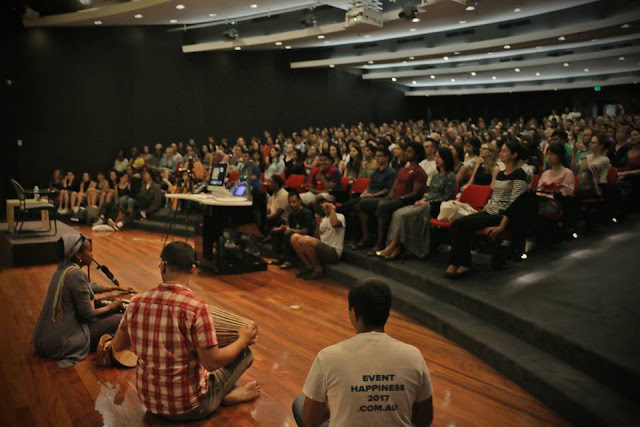 The event began shortly with a short intro speech by one of the organizers and followed by a blissful music and chanting of Hare Krishna Mantra, accompanied by traditional instruments like, Hand Cymbals, Mrudanga and Harmonium. The crowd by then were quickly seated. 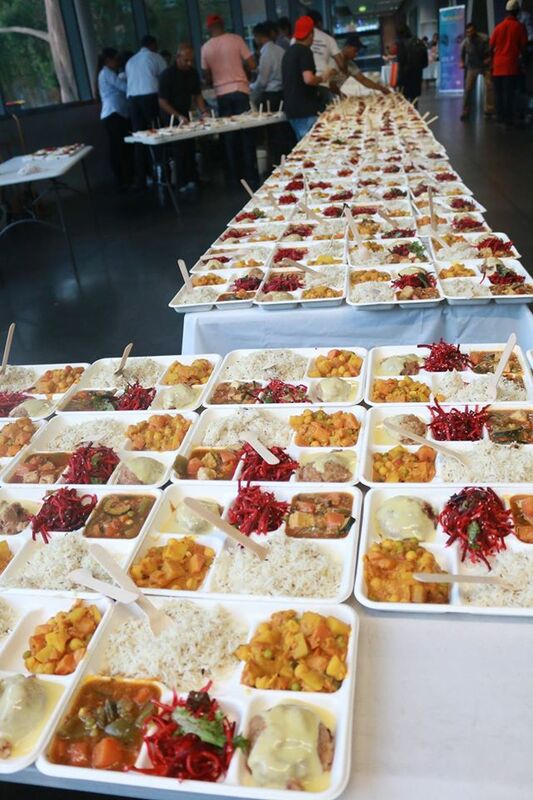 The response was very positive and immediately the atmosphere became blissful. It is an amazing experience to see so many sincere, inquisitive Souls wanting to know more about real happiness and spirituality. After the short Kirtan and intro speech, Devamrita Swami started talking. He began by talking about Happiness and what it means to people. 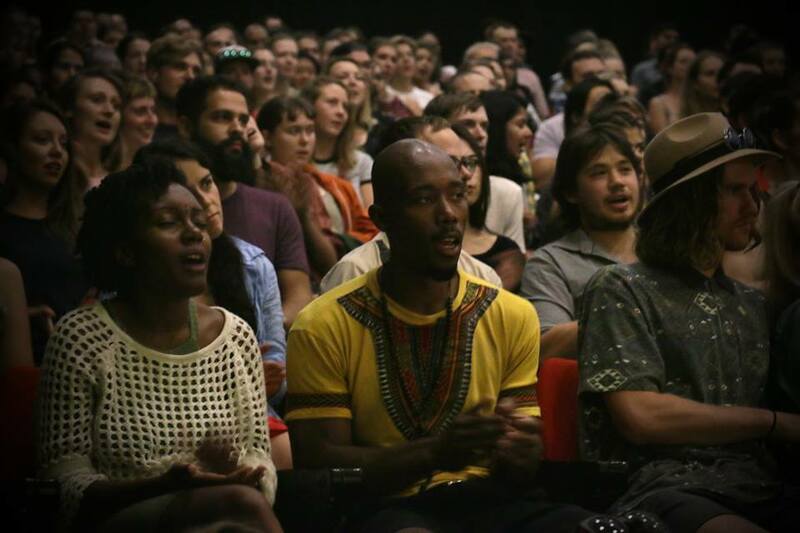 He posed some thought provoking questions to the audience by asking 'What is your definition of Happiness?. Is it some jolt to your Psychology?, is it something physical found in relationships? a moment that comes and goes so quickly, or a sheer sensuality?. Devamrita Swami quoted, Nietzsche a German Philosopher, who said that Happiness is when your power and controls are expanding and the obstacles are removed. Or may be happiness is the good old consumerism, which is possessing objects like latest mobile or other electronic gadgets. 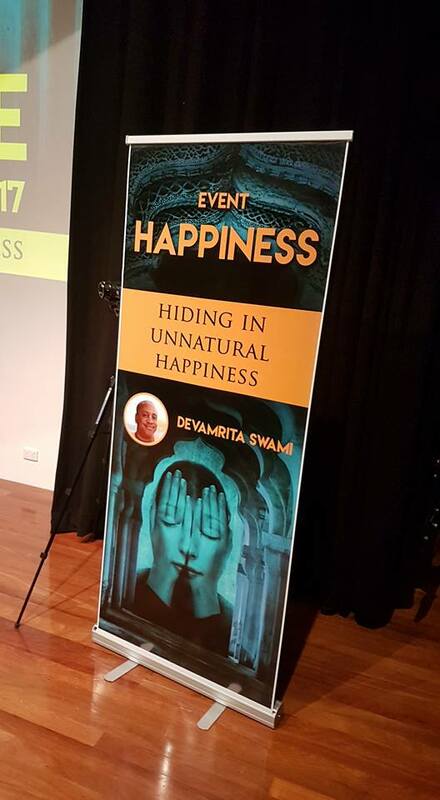 Devamrita Swami further explained that happiness these days had become such a mystery because it has become associated few myths. The very word myth is generally, ascribed to something primitive. But, there are myths that pervade every aspect of western society and the rest of world is imitating western society. What are those myths that are instinctively bound up with so called progressive society? 1. Money brings happiness: - Though people deny the role of money, it plays an important role in relationships and family life. Some of the popular sayings are, 'Romance without finance is a nuisance' or 'Marry the money, love comes later'or 'Follow the money trail'. There is no denying the fact that Money dominates our lives in a major way. Remember the childhood days of playing Musical chairs. And, when the music stopped and you are the one who had no chair? That feels so terrible. Although, there is a recent Sociological research, which concluded that beyond certain middle class levels of income providing the basic necessities, increase of wealth does not correspond to an increase in happiness,yet people are still not ready to stick with the middle class income and everyone is after earning more money and acquiring assets. 2. Technology brings well-being: Today we see many of the powerful nation’s going for nuclear weapons.It is estimated that as of today, there are about 15,000 Nuclear weapons possessed by all nations put together. And, if only few of them go off, it is predicted that the climate of earth will change so drastically that is never hear of. And, what about millions and billions of dollars that is spent on these programs? And, where does the money come from, other than the tax payers? Something has gone drastically wrong.And, what about common, day to day technology that is supposed to bring happiness?. Proliferation of smart phones and social media created more loneliness and depression. Can you imagine, what goes on in the minds of your friend’s minds, when you post selfies?. They can simply makes them feel isolated and depressed.What we are noticing is that, today’s technology is making it very difficult to develop a wholesome relationship. 3. Weapons bring security: - Today, the world is witnessing a huge stockpiles of weapons, nuclear arsenal.And, political leaders proclaim that they need them to protect peoples freedom, security etc.But, again where does Money comes from and where is the security? . In our technologically-driven society, an alarming number of people are afflicted by stress, anxiety and depression. 5. Earth provides unlimited space for used resources: - The Global Footprint Network found that the rate humanity is using the earth's resources, it would take about 1.6 Earths to provide resources. And by the year 2050, there may be more plastic in the ocean than fish. 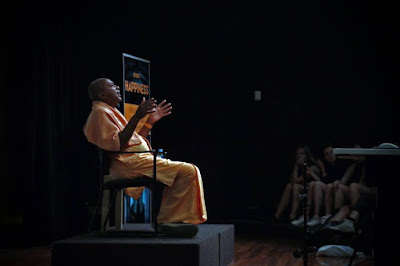 Devamrita Swami continued by saying that, Can there be something known as sustainable happiness, that does not jeopardize other human beings, environment, future generations, other living creatures?. Why Human beings should live in such a way that the future generations of humans and other life forms and the environment are affected?. 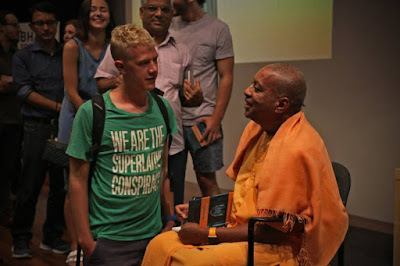 As per the View point of ancient knowledge of India, Bhakti yoga text, the yoga of ultimate connection, Bhagavad Gita begins with the message that we living beings are different from the material body and mind. As explained by Krishna in beginning of Bhagavad Gita, just like you change clothes, a human being changes its bodies. By considering falsely that we are this material body,a mistaken identity and trying to be that we are not, is causing a havoc in the world. Of course, although we are not the body, still as long as we are in this body,we do need to take care of the body. Real gift of this ancient science is the understanding that how we are different from matter and that our needs cannot be satisfied by anything material.Thus,someone who is intelligent understands that this human life is meant for connecting with Supreme ultimate non-material reality. And, even if a small section of society takes up this-understanding, it can make a profound effect in the world peace. 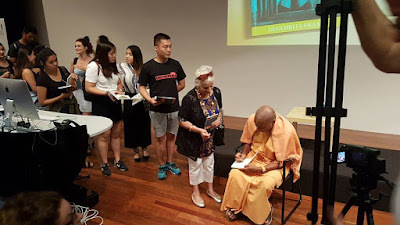 It is with Krishna consciousness that Devamrita Swami feels, people can rise above basic desires and develop the mindfulness necessary to see oneself in relation to all living entities. Using bhakti yoga as “applied spiritual technology,” Devamrita Swami believes that humanity can find enlightenment, real happiness and bring about peace in the world by making progress in reconnecting with the Supreme Reality and pursuing the topmost knowledge which is least destructive for the environment and future generations. Finally, Devamrita Swami concluded by saying that, we have been hiding in the unnatural happiness too long. We have neglected, like a foolish deer the water that is right in front of our eyes.Like the deer sight which is obscured by grass, we are racing into the desert of materialism looking for happiness. It’s not working politically, environmentally and we are all seeing this. I ask you to give a fair go, try, experiment this non-material solution offered by the ancient Vedic wisdom and even if small amount of people take up, this will result in the extraordinary transformation of individual and collective consciousness and welfare of the world, people, society, other living beings and the environment. 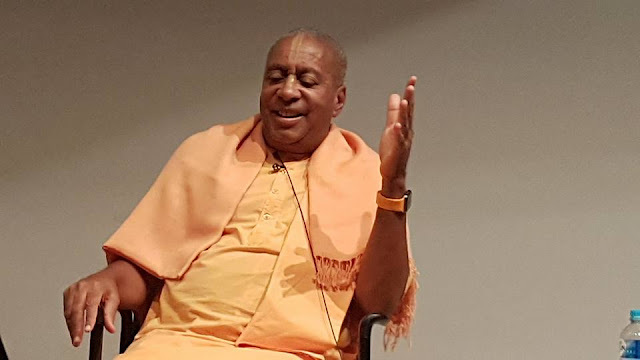 The audience were spell bound and the talk contained much more wisdom and practical insights into the problems the people and world facing today and the solution is simple, timeless wisdom contained in the Vedic books like, Srimad Bhagavad Gita and Bhagavatam. Much more had been said and unfortunately, I could not recollect the whole thin speech. Finally, there was a great applause for the wonderful talk by Devamrita Swami followed by few questions and wonderful answers by Devamrita Swami. After the class, a wonderful dinner vegetarian feast served by the organisers. Overall, it had been a highly uplifting and amazing experience. As expressed by the students who attended the talk, it was quite interesting, thought provoking, useful and motivational speech. 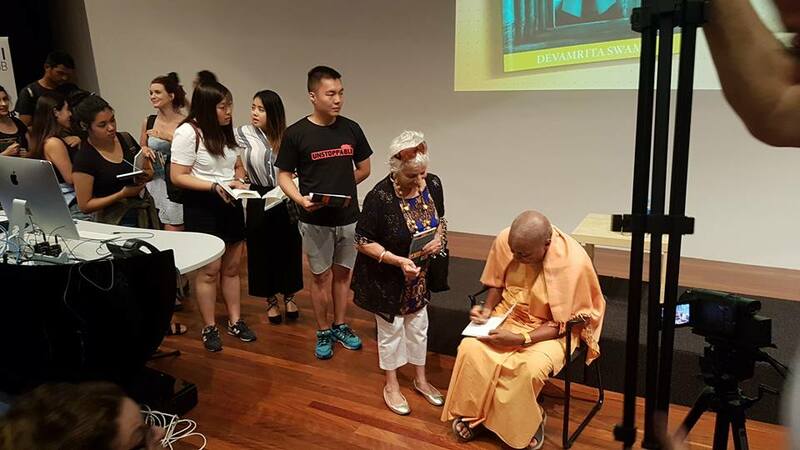 Some of the youth, who had been interviewed expressed their satisfaction, amazement on the way, Devamrita Swami spoke about the current world and the spiritual solutions to the problems of today’s world and how to be happy. I have noticed that the whole theater was completely packed, there are many people standing at the back, sitting on the floor and some even taking down notes. My guess is that, at-least 550 to 600 people must have attended the talk. Labels: Bhakti Yoga, Devamrita Swami, Happiness Event, Material Happiness, Money and Happiness, Spiritual Happiness, Technology and Happiness, University of Melbourne.